With the arrival of the month of august people are looking for the best way to make the celebration of Raksha Bandhan more exciting one. Rakhi or Raksha Bandhan is the festival which is being celebrated in all parts of the country with great happiness and fun. On the eve of Raksha Bandhan sister ties the sacred thread of Rakhi on the wrist of her brother. This thread is considered as the most auspicious thread, as it keeps the brother from all kind of harm and evils of life. Now there are several ways through which you can send Rakhi to India. In ancient time people were using parcel or courier techniques to deliver their Rakhi, but the main problem was that the parcel not gets delivered on time. So, just to view all these things there is the development of new technique that is online Rakhi portal. With the help of this portal you can send Rakhi online for your loved ones. You just have to choose the best website for you. There are many people who are using this portal as they consider it as the most reliable one. If you don’t have any idea related to send Rakhi online then you need not to be worried, as you will get the proper assistance where you will come to know about the items they offered and the way how you have to order. The best thing with online Rakhi portal is that you need not to go anywhere; you can select your Rakhi by just sitting at your favorite place. Because nowadays no one have extra time that he can spend it in the market place, so just to avoid this go online and search for the best Rakhi. 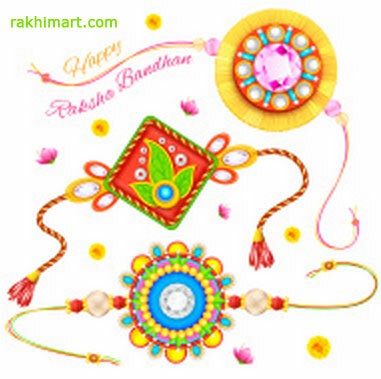 Colorful Rakhi: Colorful Rakhi are the most beautiful Rakhi, which adds happiness and excitement to the festival. There are several kinds of Rakhi available in this section, and the best thing is that they are available at very unique price range. Designer Rakhi: The Rakhi belongs to this category are very attractive and elegant. If you will go through this collection then you will not able to decide the best Rakhi for your brother. These Rakhis are designed by the skilled designers of Rakhi, so they look extreme unique and trendy. Handmade Rakhi: the Rakhis which belongs to this category will surely impress your brother. The originality is clearly visible; it is among one of the most popular and liked collection by the visitors. You can also get one for your beloved brother at a very reasonable price range. Kid’s Rakhi: Ben10, Spiderman, Pokémon, Shinchan, Bheem, Popeye, Micky Mouse, Donald Duck, and so on, are considered as some of the most liked cartoon characters by the kid’s. So you can also give a wonderful surprise to your little brother by just buying the most suitable one.